Choosing kitchen appliances isn’t as simple as going to a store and choosing on the spot. There are a variety of factors to consider to ensure that you find the right one, especially when shopping for ovens. Here are three aspects to keep in mind to make the best choice for your home. Are you looking to cook a roast or bake cookies on occasion? Or do you have a big family that hosts holidays and needs room to cook two turkeys and side dishes at the same time? Ovens come in a variety of sizes to suit every household. The standard is between 27 and 30 inches wide. However, for larger families or avid bakers, it may be a good idea to get a double oven. These appliances offer plenty of extra space, and you can control them independently to simultaneously bake multiple items at varied temperatures. Your typical residential oven runs on electricity or gas. If you’re purchasing an oven that features a stovetop, you should consider whether you’d like an electric or gas range. Some people prefer the easy cleaning of an electric option, while others swear by the temperature control and open flame of a gas stove. Ovens are available in a huge range of styles, including many color and material options. Think about which would fit in best with your current kitchen decor. For a modern home, a sleek, angular oven in black or chrome would likely look best. Those trying to stay true to the heritage of their house may opt for a vintage-style range top that is reminiscent of the time when the home was built. 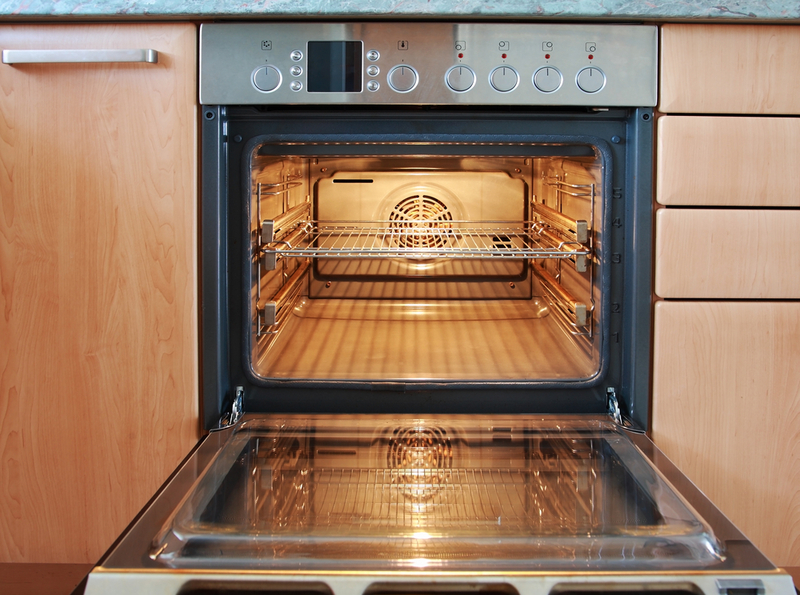 Homeowners who want to discuss oven options to upgrade their kitchen should contact the knowledgeable staff at Mobile Appliance in Mobile County, AL. The team has been in business for over 27 years and has two locations in Mobile and Daphne, AL, where you can peruse hundreds of top-notch indoor and outdoor appliances like ovens and refrigerators. To learn about brands they carry, such as FiveStar®, KitchenAid®, Whirlpool®, and Bosch®, call (251) 633-3188 or visit the website to start browsing today.